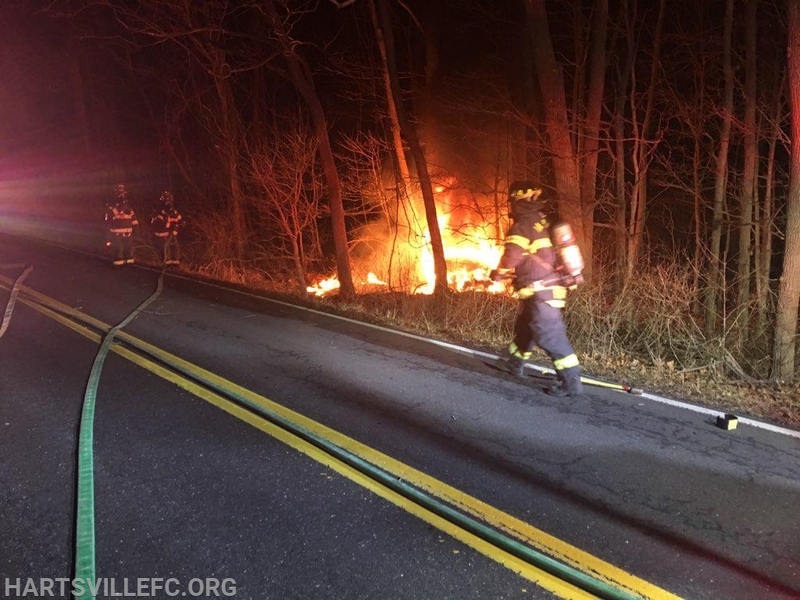 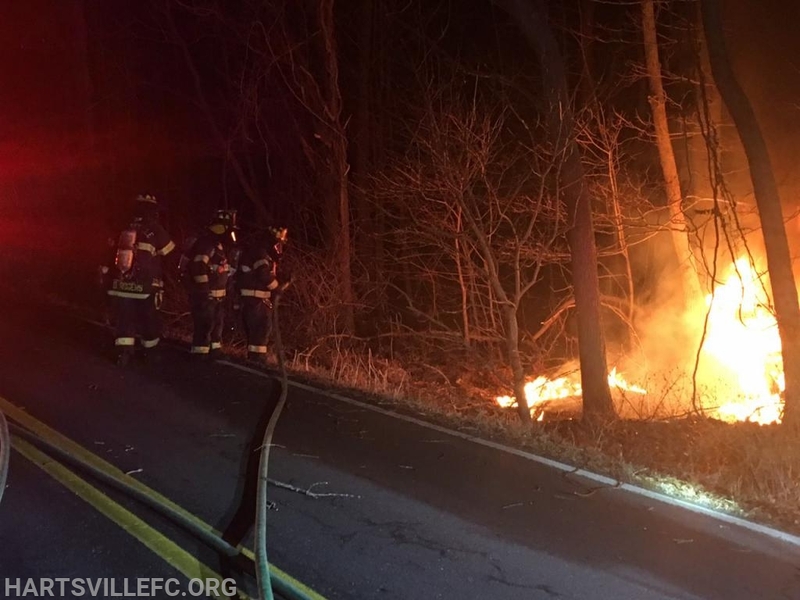 On February 4th 2019, just after 11pm, Hartsville and Northampton fire companies were dispatched to assist Warwick Fire Company for a reported traffic accident with fire on Rushland Rd in the area of Walton Rd. 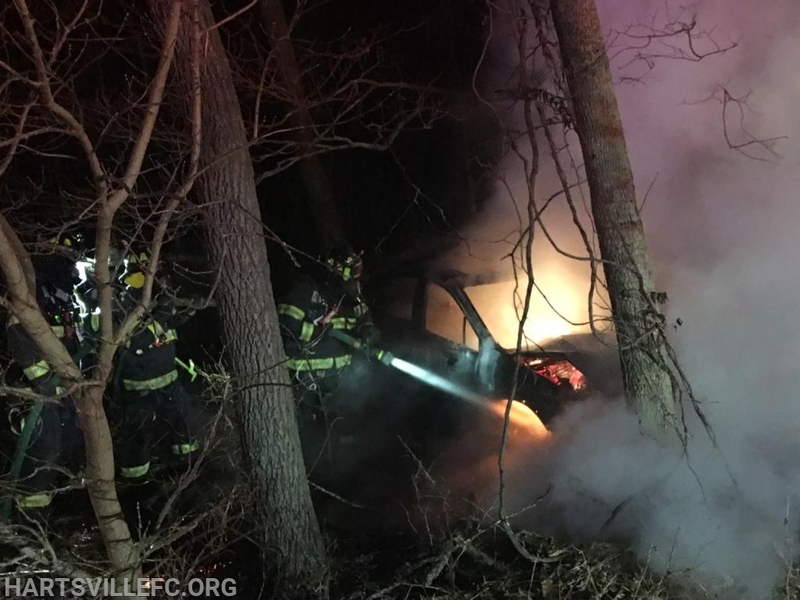 Engine 93 (Lt. Moritz Jr.) responded within minuets of dispatch and arrived on scene to find a single vehicle accident off the side of the road with fire from the engine compartment. 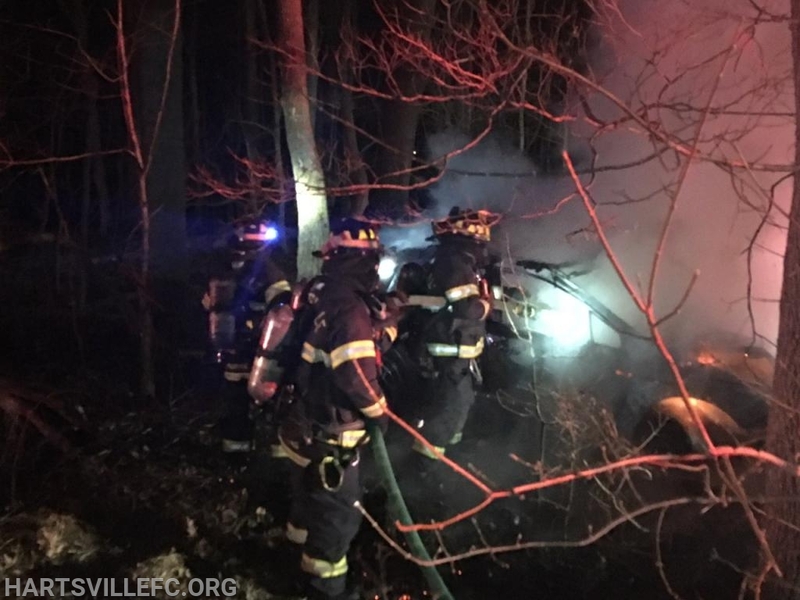 Crews stretched a single handling and had the fire under control inside of 10 minutes. 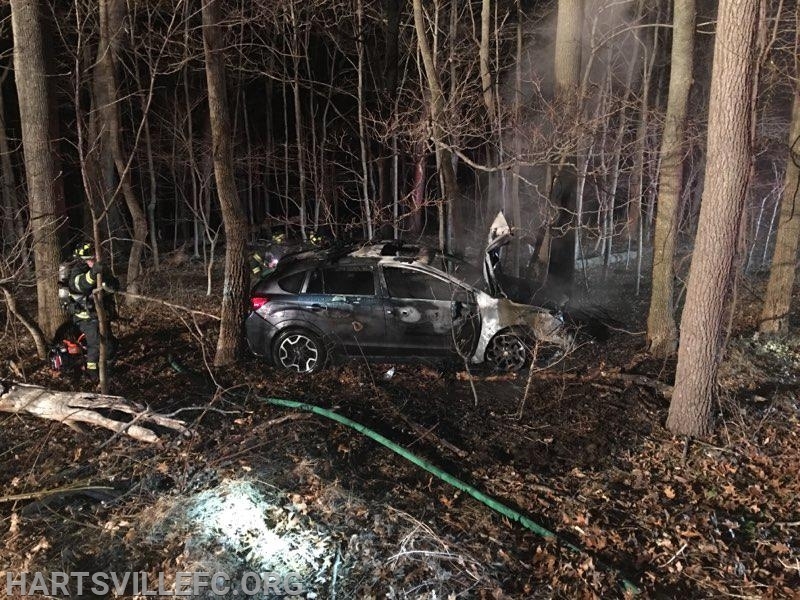 Crews remain on scene to assist Warwick PD and Central Bucks EMS.